Spooky Halloween Facts for Kids | Back to Basics Learning Dynamics, Inc.
With Halloween just days away, have you ever stopped to think about the holiday and its very specific methods of celebration? 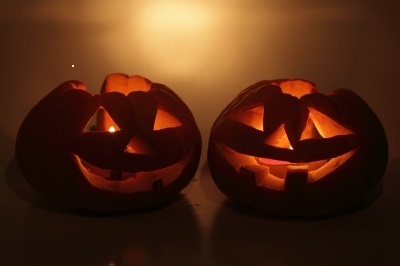 The first Jack O’Lanterns were originally made from turnips. Trick-or-treating evolved from the ancient Celtic tradition of offering food to placate spirits who roamed at Samhain, a sacred festival that marked the end of the Celtic calendar year. As a result of Christian efforts to eliminate pagan holidays such as Samhain, the Catholic Church brought about major transformations to pagan festivals and celebrations. And, in 601 A.D., Pope Gregory III designated November 1 as All Saints’ Day, a time to honor all saints and martyrs. The evening before the holiday was known as All Hallows’ Eve, which later became Halloween. Ireland is generally credited as the birthplace of Halloween. During Halloween’s precursor, Samhain, people would light bonfires and wear costumes to ward off roaming ghosts. Halloween in America today is now the second largest commercial holiday of the year, second only to Christmas. From trick or treating, to costume parties, Halloween is a fun-filled evening for all ages. But, as you celebrate, don’t forget Halloween’s early origins… and remember to watch out for roaming ghosts, fairies, and spirits! Photo by hin255 and FreeDigitalPhotos.net.